Use our pregnancy calendar to see what’s happening in your pregnancy each week. Resting up before the big day? 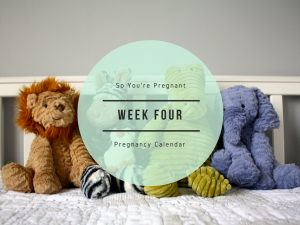 Here’s what you can expect from week thirty nine of your pregnancy. So close and yet still, so far. You may have already welcomed your baby by now (in which case, you can read this quite smugly) but the majority of us will still be impatiently waiting for baby to arrive. Whilst it’s easy to wish away the nights of discomfort and count down the seconds until baby arrives, now is the time to make the most of the little bit of calm before the storm. Whether that’s spending time with your partner or taking some extra moments with your other children, your baby will be here before you know it and you’ll almost certainly be longing for the days when you could claim pregnancy as an excuse. Being heavily pregnant can be pretty miserable at times so if you feel an urge to slap me in this moment, please feel free. But, that silver lining is that you can use this time as an opportunity to get out of any situation you don’t fancy attending; whether that’s a family get together or meeting friends. In this moment, you need to put your welfare (and that of your baby) first and make sure you’re well rested going in to labour. If the weather is hot, be sure to keep hydrated and cool, keep any swollen feet and ankles up whenever possible and try to get some sleep, even if it does feel like an elephant is sat on your bladder all night. Finally, make a check of those hospital bags and your intended birth plans – have you got carpark change, have you checked routes, have you arranged child/pet care? The chances are you sorted things weeks ago now so it’s always worth a little check to ensure you’re on top of things. Other fun things this week: the underwear checking has begun. Was that my waters or did I wee myself a little? What does a mucus plug even look like? (Quick health check here – if you value the contents of your stomach, don’t google it). I’d genuinely forgotten how fun this bit of being on edge all the time really is… not.